European car makers are upset with a new French environmental classification which relegates even the newest Euro 6 diesel engines to the second cleanest category. Also, Dutch police fine Gumball3000 competitors €30,000 and confiscate twelve driving licences. The A1 Paris bus and taxi lane has been suspended. A trans-Continental driving record attempt finds diesel really is more expensive in Switzerland. Tolls announced on new Moscow-St Petersburg motorway. Cleanest diesels relegated to category two. 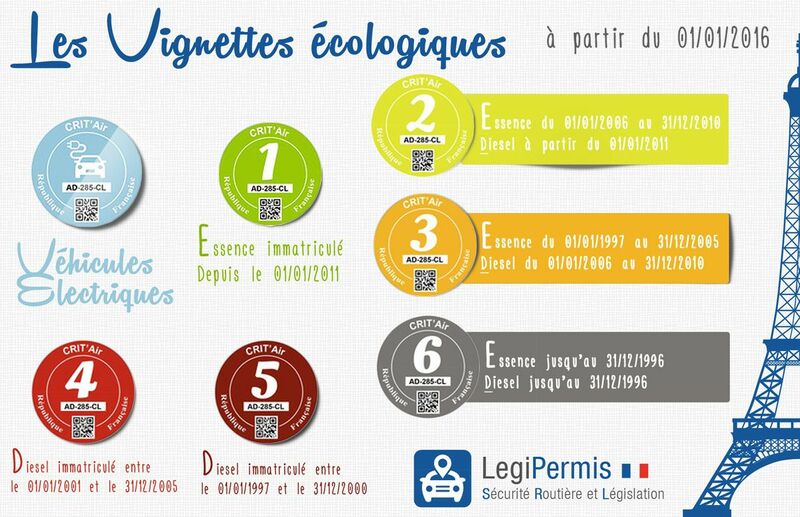 France’s new environmental vehicle stickers have upset the European Automobile Manufacturers Association (ACEA). Following on from the progressive Paris bans on the most polluting vehicles, due to start next month – in which diesel engines have been identified as the major culprit – Ecology minister Segolene Royal last week unveiled seven new emissions categories. Aside from the blue sticker for electric vehicles, the cleanest is for petrol vehicles registered since January 2011. All diesels are relegated to at least category two. The windscreen stickers will allow local mayors to incentivise the use of clean vehicles through reduced or free parking or access to dedicated lanes, for instance. In Paris, the stickers could be used to govern ‘alternate traffic’ on high pollution days. Unlike the similar German system, the scheme – due to be introduced next January – is voluntary and will not apply to foreign-registered cars. The stickers will be free for the first six months and €5 thereafter. Paris is in favour of the scheme, and Grenoble, but Clermont-Ferrand and Aix-en-Provence are reportedly opposed. Drivers will apply over the internet and have the stickers delivered to their homes. According to pan-Europe police federation TISPOL, a ’co-ordinated action’ saw Dutch police confiscate twelve driving licences and issue €30,000 in fines to Gumball3000 competitors and followers during this year’s event. However, it says there were no ‘significant traffic offences’ and that by paying on-the-spot fines most drivers were able to get their licences back straight away. The European leg of the high profile transatlantic rally took place between Stockholm and Amsterdam in the last week of May. 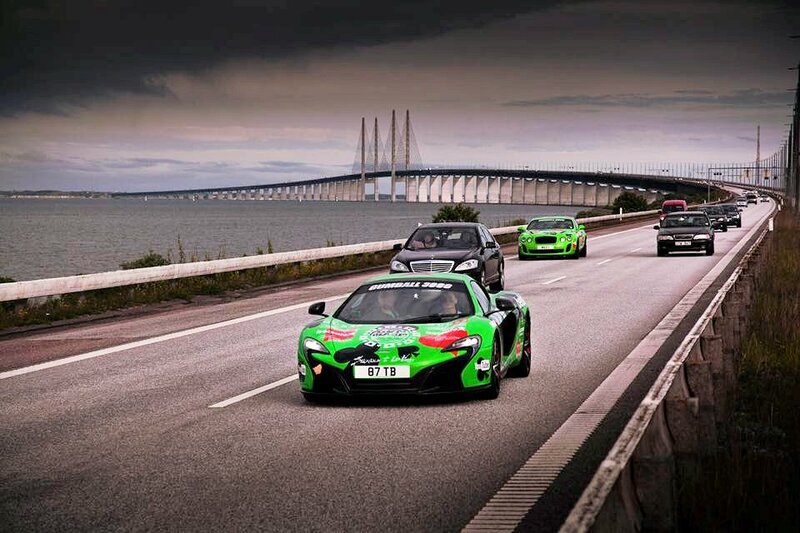 Photo: competitors on the Oresund Link in Denmark, via Gumball3000 Facebook. roundup: PARIS. The new A1 bus and taxi lane has been suspended by a court. The reserved lane between Roissy and the peripherqiue ring road opened in April and is barred to other vehicles between 06:30-10:00 during the week. The judge ruled it made for unfair competition for the VTC chauffeurs association according to Le Parisien. Meanwhile, Paris’ second bus and taxi lane opened on the A6a in the south of the city last week. ON TOUR. The RAC and Audi Record Road Trip – an attempt by Telegraph writers Andrew Frankel and Rebecca Jackson to claim the world record for the most countries driven through on a single tank of fuel – has been compiling retail diesel prices as they go. So far they have Belgium at €1.289/l and France at €1.230. As in our recent fuel price profile, Switzerland – at €1.520 – is significantly expensive. The attempt started in Maastricht in the southern Netherlands this morning and should end somewhere in the Balkans… See @RecordRoadTrip. RUSSIA. The toll on the new M11 motorway between Moscow and St Petersburg will cost around 1,000RUB (£12, €16) when it opens for the World Cup in 2018 says The Moscow Times. The 684km road runs parallel to the existing, notorious M10 and will be up to ten lanes wide. Truck tolls are yet to be announced but are expected to be considerably higher.